Storage Vial are used for storage of biological material, human & animal cells. 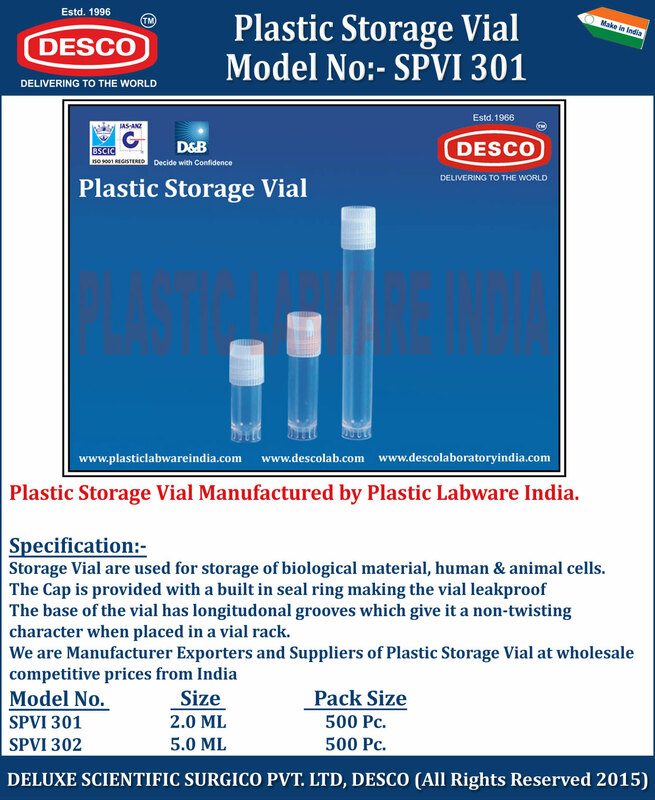 The base of the vial has longitudonal grooves which give it a non-twisting character when placed in a vial rack..
We are Manufacturer Exporters and Suppliers of Plastic Storage Vial at wholesale competitive prices from India. SPVI 301 2.0 ML 500 Pc. SPVI 302 5.0 ML 500 Pc.